Maggie is entirely devoted to her husband Thomas, their two beautiful children, and to God--until what begins as a platonic intellectual and spiritual exchange between writer Maggie and poet James transforms into an erotically-charged bond that challenges Maggie's sense of loyalty and morality, drawing her deeper into the darkness of desire. 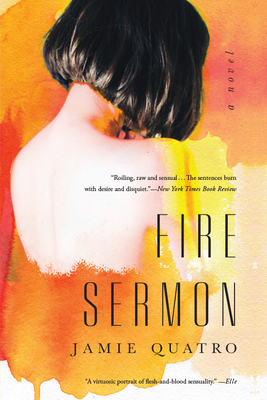 A daring debut novel of obsession, lust, and salvation by the highly lauded author of the story collection, I Want To Show You More, Fire Sermon is a tour de force that charts with bold intimacy and immersive sensuality the life of a married woman in the grip of a magnetic affair. JAMIE QUATRO is the author of I Want To Show You More. She is a visiting professor in the Sewanee School of Letters MFA program, a contributing editor at Oxford American, and lives with her husband and children in Lookout Mountain, Georgia.